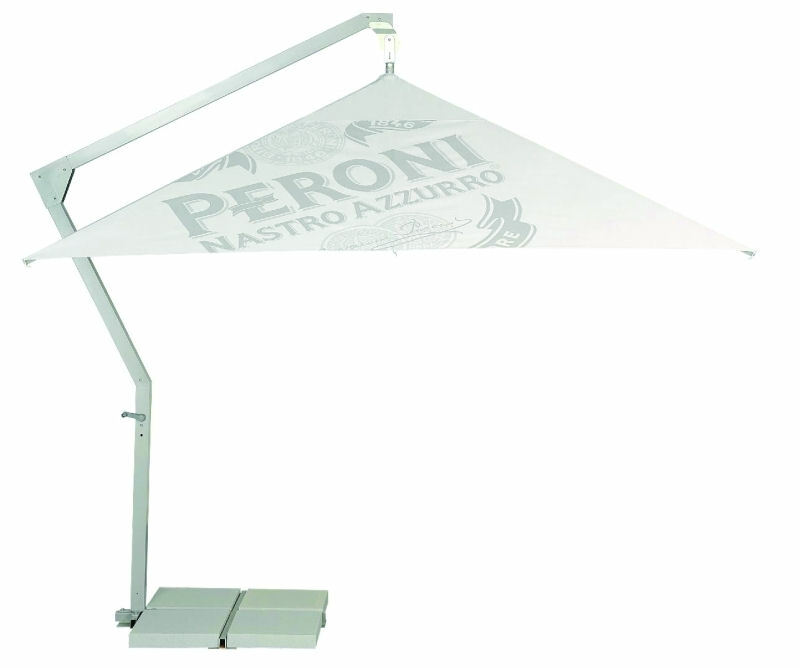 Make a statement and invest in a hanging parasol for your event or business. 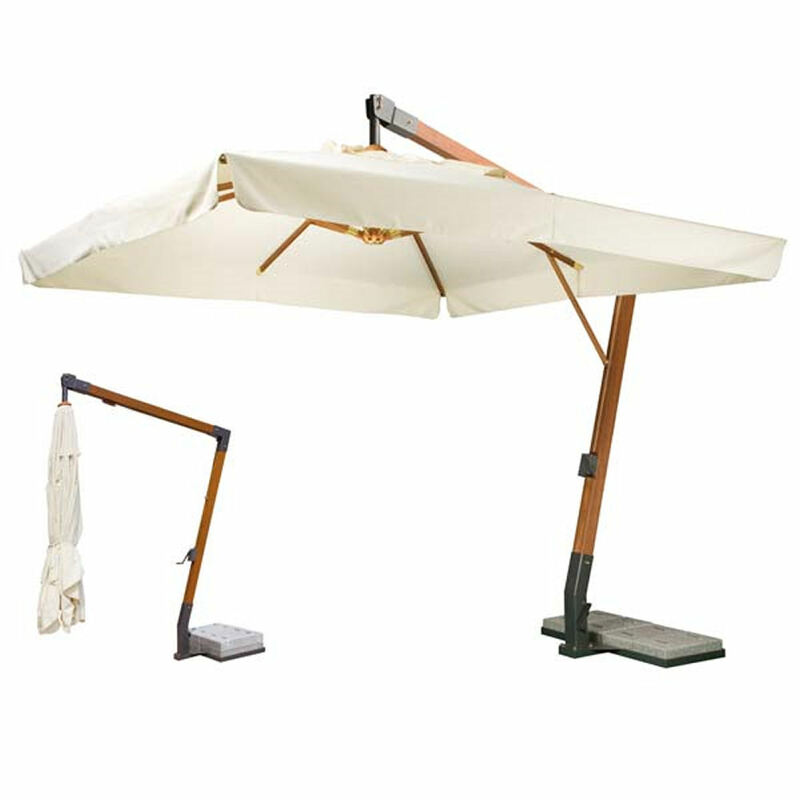 With a range of sizes to fit a host of different spaces, you can maximise space with a parasol that doesn’t rely on a central pole. Instead these operate with a side frame and base so they become ‘free’ standing. This ultimately optimising your floor space giving you more options and more room to play with. 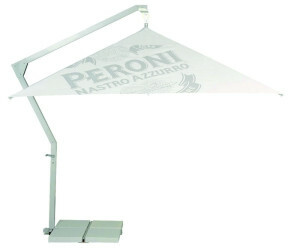 Whether you are looking for a hanging promotional parasol for an exhibition, product launch, road show, event, festival or simply for your café, bar or rest aurant, these provide a stylish and different solution to Britain’s turbulent weather – rain or shine! 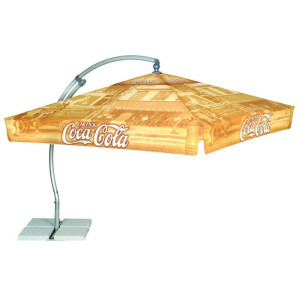 All our promotional parasols are fully customisable and can be completely branded unique to your specifications. We print the canopies to your specifications and can help with the design element of your order. Our Design Team can put together an array of different design options or you can simply tell us what you want and we can design this specifically to your requirements. Plus best of all no minimum quantities required! All Brollies & Parasols’ parasols are shower proof and sun resistant. Plus we offer a range of different base options or you can simply use your own. Why not give us a shout and let us know what you are looking for and we can see how we can help you. Email [email protected] or call 029 2084 5955.